Courage Wolf is the polar (and Arctic) opposite of that cousin he never wants to admit to, Insanity Wolf. This lupine, however, does seem to share an odd similarity in facial features, but one can chalk that up to, perhaps, an overabundance of courage. 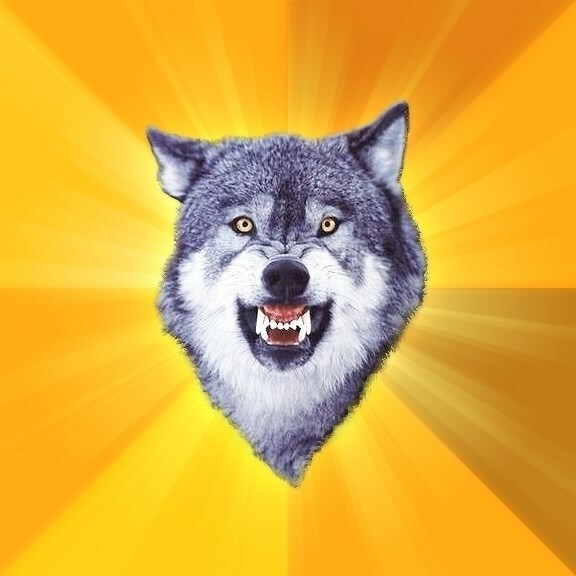 Also at the other end of the spectrum of Advice Dog, who is known to give bad advice, Courage Wolf takes giving good and helpful advice to a roaring extreme. Photographer Jeff Vanuga is responsible for the original photograph of the wolf that was used in this meme. He snapped the photo somewhere in Montana, and it was subsequently made available on Corbis Images. In December 2008, the meme began its ascent in popularity. Various sources have determined that the meme was put on 4chan’s /b/ (Random) board, which is also coincidentally the place where Advice Dog sprung from. From there, the meme spread, and also spawned a litter of wolf sub-meme pups, including but in no way limited to Baby Courage Wolf, Intellectual Courage Wolf, Monsieur Le Courage Wolf, and Sir Courage Wolf Esquire, each with their own unique meme-spin on the Courage wolf variation. 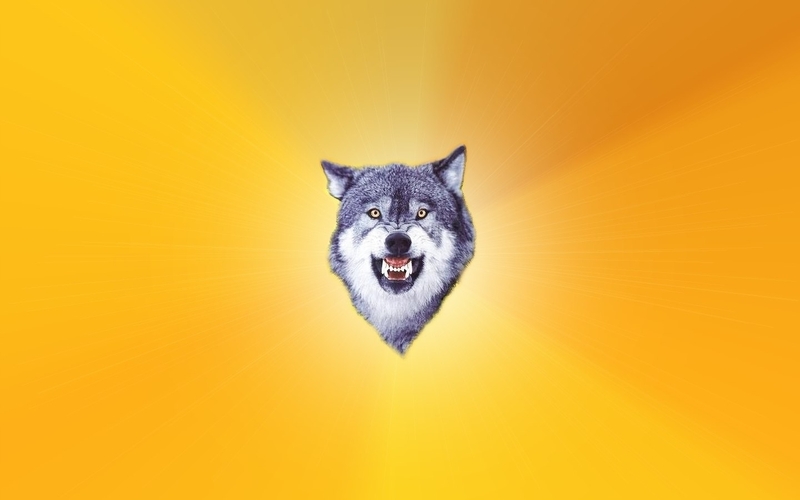 The meme itself pictures the aforementioned wolf’s head, centered on a wheel of color for a background, radiating out as the text is included above and below the wolf. The courageous (?) advice of Courage Wolf starts off usually outlining a particular problem, issue, or challenge, and then the second line comes in and the brave advice is offered. One example is, “Pain is temporary – Glory is forever”.